Articolele revistei sunt publicate în sistem open access sub licența Creative Commons Attribution-NonCommercial-NoDerivatives 4.0 International (CC BY-NC-ND 4.0) License. Articolele pot fi citite, descărcate, copiate, distribuite, tiparite sau se poate crea link la articolele full text ale revistei și folosite în scop de cercetare. All articles from RRTTLC are licensed under a Creative Commons Attribution-NonCommercial-NoDerivatives 4.0 International (CC BY-NC-ND 4.0) License. 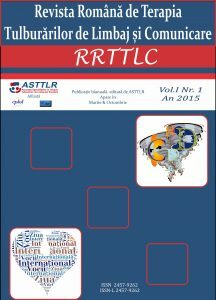 The readers are allowed to read, download, copy, distribute, print, search, or link to the full texts of the articles published in RRTTLC and can use them for any other lawful purpose.